One of the challenges that we discovered during our multistakeholder workshop in The Hague a few years ago was that people tended to fall back on their expertise when faced with the discomfort of empathizing with farmer’s needs. Particularly so when the farmers in question were from Africa, and not from their own regions. Our design visualization team – Jam visualdenken – captured one element of how this barrier manifested. Experts talked a lot about “Knowledge” being the key to effective agriculture value chain development, and how it was critical to transfer as much of it as possible. It became this big thing shoved at the ‘global South’, with little thought given to how it would be transferred, much less how relevant and appropriate the “knowledge” would be. A silver bullet, or a panacea. While African communities have learnt from each other for generations, the conventional way of trying to spread knowledge through case studies is not yielding sustainable results. There is an assumption that technical people can get into a community, work with local people, document their successes and share success stories with other communities, leading to adoption of best practices. This notion misses a thorough understanding of how communities learn from each other. Almost all rural African communities rely on collective sense-making through very patient conversations, observations and learning by doing. [… ]motor mechanics and metal fabrication are now part of the informal sector. Previously locked in formal systems, these skills are now being unpacked and applied in informal markets. This is leading to the integration of indigenous knowledge systems into formal knowledge sharing pathways. Since indigenous knowledge is more customer-oriented, it results in the production of needs-based products, tailor-made to meet the needs of diverse customers. For example, ploughs and hoes are made as per customer requirements unlike the previous mass production ethos in the formal sector which had little consideration for existing draught power dynamics in different farming communities. Technology and digital tools do not know empathy and why it is important. A lot can be learnt from remarkable ways through which African socio-cultural systems generated and shared knowledge. There were reliable conduits for sharing knowledge from one age group to another, one gender to another and one society to another. Besides respected knowledge brokers, each community had sense making tools linking different communities of practice. Some of these methods and tools included rituals, idioms, metaphors, stories and various forms of apprenticeship. 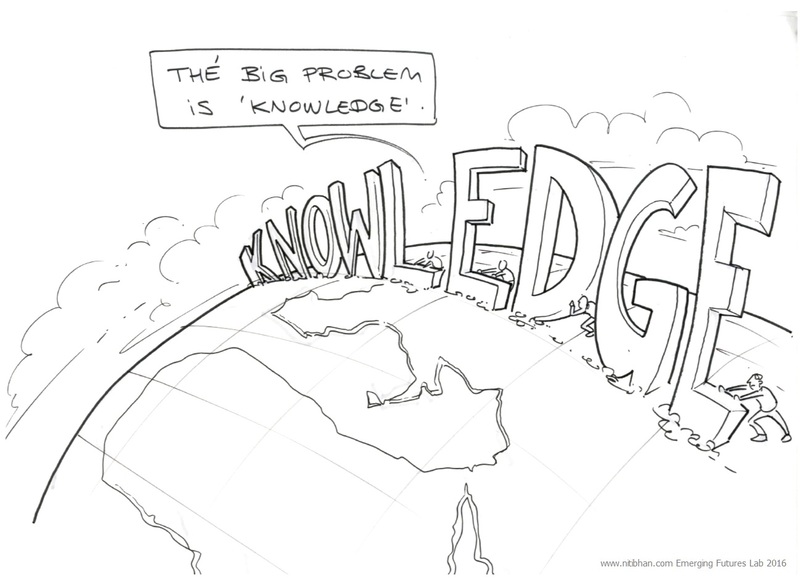 This is exactly what our modern knowledge systems lack. We have not cultivated proper ways of sharing the rich information/knowledge from schools, colleges and university curricular into diverse African communities. There is an expectation that this knowledge can be shared by students after graduating. However, a lot of what can be useful in communities is either forgotten or misapplied. More than 70% of ordinary Africans who function through their own languages, values and norms have no way of meshing what they know with the formal education system. In most cases, their cultural values are still considered barriers to academic knowledge which is being confused with modernization. Unless we develop verifiable ways through which knowledge is questioned, shared, rejected and value-added, it remains stuck within various communities of practice. Such knowledge will have less developmental impact than anticipated. Academics continue to be locked in their systems, speaking to each other while farmers and rural communities continue holding onto what they know works. As if that is not enough, the language used for crafting policies in most African countries is not suitable for use by the majority but for lawyers and judiciary systems who can interpret it. This article was written by David Indeje (@DavidBurudi) and was first put on the internet on West FM. It has been republished here with his kind permission. Agriculture is the essence of life, but it seems leaders are not getting the idea as farmers continue to experience the effects of climate change and in their own innovative ways, are rapidly adapting. A walk in various farms of Western Kenya farmers, many reiterate that, they have witnessed unpredictable weather conditions with long spells of drought and irregular rains that have had a negative effect on their lives. “By May, our maize crops would have tussled after we had top dressed but we are still planting or weeding for the first time. The planting season is over and we are not sure if we will have the yield we anticipate,” the farmers lament. Christiana Figueres, Consultative Group on International Agricultural Research (CGIAR) Fund Council Chair and Vice President of Sustainable Development at the World Bank Inger Andersen, during the COP 16 meet in Caucun, Mexico, noted that agriculture is an area that needs to be moved into the negotiations. Improving agricultural productivity is the key for reducing poverty in the country. A global consensus has emerged that agriculture must move up on the global development agenda, and that investment in agriculture, especially smallholder agriculture, must be increased if the twin goals of poverty reduction and food security are to be achieved. In fact, if Kenya is to achieve the first Millennium Development Goal to eradicate extreme poverty and hunger, the agriculture sector needs to grow much faster and maintain annual growth rate of 6.2 percent. This requires that we work on every single aspect of the agriculture production chain from regenerating depleted soil, using better seeds and more suitable fertilizers, whether organic or industrial, to drastically improving the quality of so-called extension services that support agriculture. It implies working on marketing and storage issues, road infrastructure and financial services. Only by tackling all those aspects at once, involving both the public and private sectors, will we manage to improve agriculture productivity in a sustainable way. One consequence of this neglect is the appalling state of rural infrastructure in Kenya. This leaves rural areas, which have the potential to feed the more than 40 million hungry people, cut off and isolated. Kenya has only exploited a fraction of its irrigation potential, and the density of rural roads today is a fraction of what Asia had in the 1950s. As a result, farmers rely almost exclusively on rain-fed farming and face exceptionally high transport and marketing costs that makes a shift to more efficient farming unprofitable. Access to farm inputs is critical in increasing farm productivity. Current use of agricultural inputs and financial services is low amongst smallholder farmers in Kenya. Small-scale farmers in rural areas of Kenya have not been able to access financial services for acquiring farm inputs among other needs to improve farm productivity. This is partly due to low density of financial institutions in rural areas; inappropriate financial products; high cost and high risks of lending. Smallholder farmers adjust by resorting to informal credit, reduction of farm inputs, sub-optimal production techniques, and borrowing from family and friends. This limits the investment in farm equipment and capital as well as other agricultural assets and inputs. As a result, there is need for practical assistance and capacity building to be provided by the private sector. Secondly, financing rainwater harvesting projects through micro-credit organizations that appear to be a sustainable delivery vehicle to enabling communities address the challenges of access to water and sanitation. In addition, small-scale farmers concentrate on low risk, low return activities because they cannot access start-up capital and cannot transfer system risks. As a result, there is low agricultural productivity among smallholder farmers. Low productivity attributed to inadequate use of production enhancing technologies and inputs such as fertilizers has led to food insecurity amongst the smallholder households and worsen unemployment and poverty. Credit is an important input into the production system and it contributes to increased food productivity. Access to credit increases the farmer’s working capital enabling the farmers to buy productivity enhancing inputs such as good quality seeds, fertilizers and chemicals. The challenge for agricultural financial institutions is to develop low cost ways of reaching farmers, especially smallholders. There is need for farmer’s education to sensitize them on existing and new technologies they can use to improve production. This is especially among the rural farmers. Eventually, this would help in strengthening and establishing producers and traders unions: providing farmers with professional advice, current market information and input results in an organized way; controlling market price and products; providing farmers with loans at lower interest rate; and improving transportation, storage and processing standards. The establishment of supportive policies such us offering of subsidies or free medical schemes to highly productive units per given farming year; or scholarship packages for children and adults of the unit according to the minimum production percentage given for eligibility for the same (this is meant to curb problems of rural children finances of education as well as reduction of poverty). More food must be produced to contain the impact of soaring prices on poor consumers, and simultaneously boost productivity and expand production to create more income and employment opportunities for the rural poor. Smallholder farmers must have proper access to land and water resources and essential inputs such as seeds and fertilizers. To ensure that small farmers and rural households benefit from higher food prices, a policy environment that relaxes the constraints facing the private sector, farmers and traders, must be created. That would mean reversing the decline in the level of public resources spent on agriculture and rural development and investing more in agriculture. When I first began developing the attributes by which to select representative user profiles for the original fieldwork to begin understanding the “prepaid economy”, that is, household financial management in rural India, The Philippines and Malawi, it was based on people’s ability to plan and budget. One can plan best when one is certain of the amount of money incoming and its date of arrival, thus one is best able to manage household expenses on a regular salary on a periodic calender based schedule. If we cluster rural residents by their ability to accurately estimate the amount of money against its arrival, then the salaried employee is at one of the continuum of certainty. He or she knows exactly how much they will receive and on which date. The other end, however, is the most uncertain, such as the case of the daily wages labourer who may or may not be called for work on a particular day or week. The farmer, if experienced, tends to fall in between these two points, as they are usually able to look at their crops and estimate approximately the yield and readiness of the harvest. This simple framework of time and money allowed for a reasonably representative sample of any particular region where geography is responsible for the climate and the seasons. The uncertainties faced by local farmers were broadly the same. Now, we hope to take a closer look at this segmentation model to better refine our understanding of rural economies. At which point did a farm transition from mere subsistence towards aspirations? How? What distinguished a member of the global emerging middle class (GEMs) from one who was barely able to hold house and hearth together? Which other actors were critical to the rural economy, delineated in this case as the last mile of the agricultural value chain, and who were the supporting cast ? All farmers in a region are not alike – how would we begin to cluster sub-segments and which additional attributes would help us? 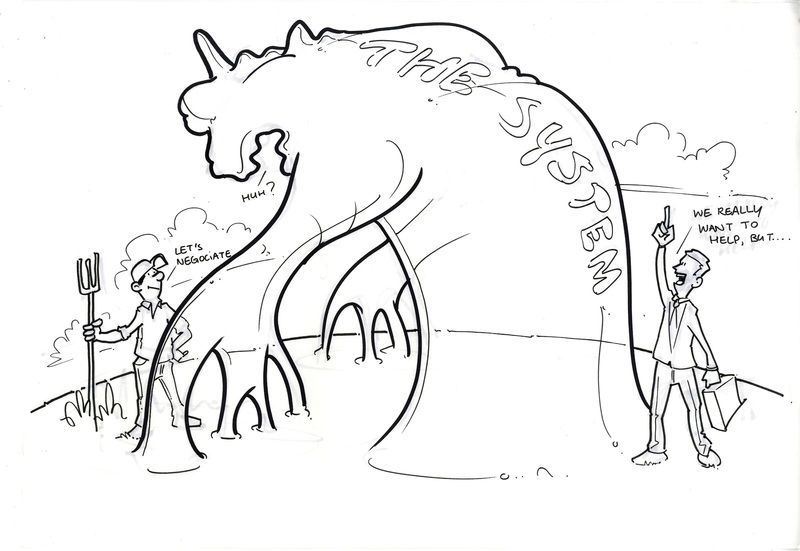 The greater the span of control the end user had over their time and money in a payment plan – the amount, whether it was in cash or kind; and its timing i.e. the frequency, periodicity and duration, the greater the likelihood of its success. Seasonality was a fact of life and cash flows over the course of the natural year reflected this aspect. High seasons and low; wet seasons and dry – the rural economy was closely tied to the land, the ebb and flows of income affecting everyone in the farming community, from shopkeepers to truck drivers. Liquidity does not reflect wealth, nor cash expenditures a signal of purchasing power. Affordability is less a matter of absolute price and more dependent on the flexibility of the payment pattern. In the majority of the developing world, the rural economy is flexible, informal, local, social and interdependent. Trusted social networks were the basis of looking upon the community as insurance in bad times and resilience in the face of uncertainty and adversity a recurring characteristic. The rural mobile economy is prepaid. I began the New Year of 2009 in the midst of prototyping my fieldwork protocol for the Prepaid Economy project which had just won one of 9 Small Grants offered in competition by the iBoP Asia Project in The Philippines. India’s familiarity was the reason for its choice of testing location before doing it once only in the rice growing region of Iloilo. Since then I’ve barely managed to scratch the surface of understanding the nuanced depth and layers of the hyperlocal, trusted social network based rural economies of the developing world. Yet the GSMA Mobile Economy 2013 report offers some pointers towards attempting to estimate the size and scale of the rural informal economy which is primarily based on agriculture and agribusinesses of all shapes and sizes. Even if an actor isn’t directly dependent on farm based income and seasonal harvest yield volatility, he or she is inextricably linked to the farm’s seasons in their own cash flow simply due to the undue proportion of the local population involved. Until now, I’d only taken “the farmer” as a representative profile in my fieldwork, perhaps at most distinguishing between cash crop farmers who are emerging into the middle classes increasingly visible globally through their consumer behaviour and the subsistence or below level who barely manage to survive, much less make a living. Now we’ll take a closer look at “the farmer” label itself, segmenting it further as all farms do not yield the same income nor each does each crop offer an ROI. My colleague and project leader for the current work in The Netherlands, Bart Doorneweert has just published an excellent analysis of our workshop on user centered design for a multi stakeholder group invited by the Ministries of Economic Affairs and Foreign Affairs. When the break-out groups re-convened after their design exercises, we asked each group to present their ideas, and discuss their assumptions and constraints with the audience. Across all presentations we discovered an interesting pattern. 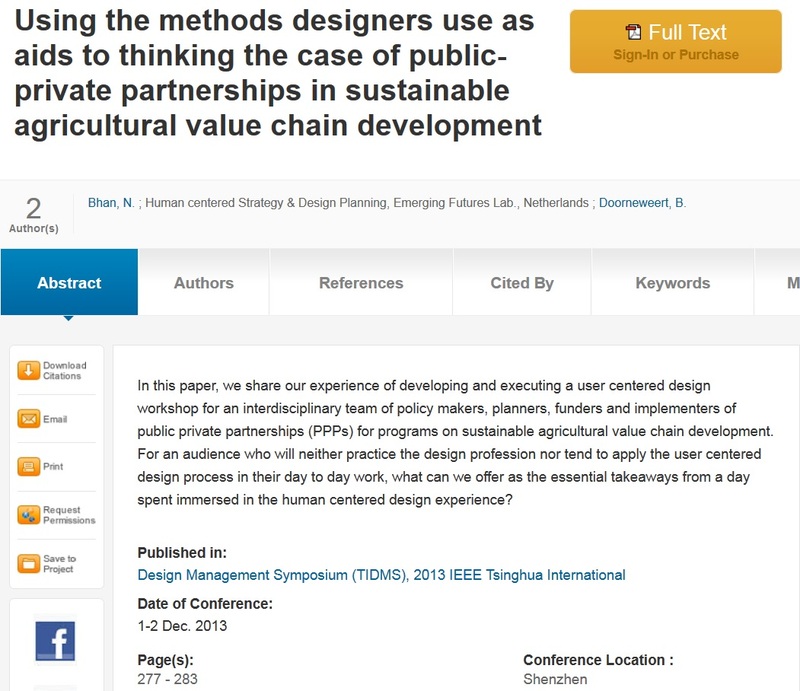 Participants found themselves to be confronted with an inability to associate with the user, deeming that area of the value chain apprehensive for conjecture about farmers’ needs, and too far removed in terms of values. In our attempt to lower the barriers to applying the user-centered approach through a free-form exercise, we apparently raised an inherently imbedded barrier to consider the user. Rather, participants insisted to direct their problem-solving attention to a more abstract, distant level of thinking (the value chain), or a particular part of the value chain that is more closely associated with Western values (working from the perspective of Nespresso, rather than the coffee farmer). This inability to associate with the users had impactful implications for ways in which the groups constructed design solutions. The approaches used were vertical in nature, thinking only within the bounds of what would directly associate with production of a particular agricultural commodity. In their thinking on solutions, people diverted to general principles (tea production provides for income, and thus makes the farmers happy), and then divided the relevant principles into disciplinary segments (like finance, training, agronomy, trade, etc). The brand name AMUL, from the Sanskrit Amoolya, meaning priceless, was suggested by a quality control expert in Anand. The first products with the Amul brand name were launched in 1955. Since then, they have been in use in millions of homes in all parts of India, and beyond. 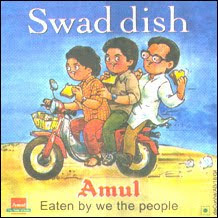 Today Amul is a symbol of many things: Of high quality products sold at reasonable prices, of availability, of service. There is something more, though, that makes the Amul brand special and that something is the reason for our commitment to quality and value for money. Amul is the brand name of 2 million farmers, members of 10,000 village dairy cooperative societies throughout Gujarat. This is the heart of Amul, it is what gives strength to Amul, and it is what is so special about the Amul saga. You will appreciate that when the lives of lakhs of farmers depend on a brand, and when your history is grounded in the Independence movement, when not only competitors but even your own government questions you, then your resolve to be the best is like the finest steel. Amul, therefore, is a brand with a difference. That difference manifests itself in a larger than life purpose. The purpose – freedom to farmers by giving total control over procurement, production and marketing. Amul and all other milk products produced by cooperatives were born in struggle. It was the producers’ struggle for command over the resources that they create, a struggle to obtain equitable returns and a struggle for liberation from dependence on middlemen. It was a struggle against exploitation. A refusal to be cowed down in the face of what others believed to be the impossible. Amul’s birth was thus a harbinger of the economic independence of our farmer brethren. Amul’s mission was the development of farmers, nutrition to the nation, and heart in heart, the real development of India. This led to replication of the Anand pattern through the Operation Flood programme which has, amongst others, three major achievements to its credit, namely: making dairying India’s largest self-sustainable rural employment programme, bringing India close to self-sufficiency in milk production, and trebling the nation’s milk production within a span of two and a half decades to make India the world’s largest milk producer. Over the course of Operation Flood, milk has been transformed from a commodity into a brand, from insufficient production to self sufficient production, from rationing to plentiful availability, from loose, unhygienic milk to milk that is pure and sure, from subjugation to a symbol of farmer’s economic independence, to being the consumer’s greatest insurance policy for good health. There is also something very special about milk, something which requires that any brand for milk and milk products to act not simply as a seller, but as a trustee. Milk is not a white good or a brown good. It is not something people save their entire lives in order to buy – like a car, or a house. Milk is not a status symbol; rather it is the symbol of nutrition. Milk is a nearly complete food, providing protein, vitamins, minerals and other nutrients so essential to maintaining good health. Our commitment to the producer, and our contract with the consumer are the reasons we are confident that cooperative brands, like Amul, will have an even bigger role to play in the next fifty years. Resources need to be deployed with a purpose and a commitment to deliver better results. There is no limit for a marketing exercise then. It must build India and its culture a second time round. When I began this exercise, I noticed first the issues of quality, distribution, brand promise and cooperation that he starts his speech with. Aha, I said, these are the lessons that social enterprises seeking to serve the BoP (or whatever you want to call them) could learn from but when I read further, I realized that the true story was no less than one which was about scale, about nation building and financial independence, about a brand which emerged from the farms and fields of rural India to reach grocery stores in every country I’ve been in. (Asian groceries, mind you, as we seek our “taste of India”). What then is the real lesson to be learnt here? And where is the mention of Amul’s success, much less Operation Flood’s, in the case studies of social enterprise we so often come across? Maybe the answer can be found by going back in time to analyze the reasons for its success, and ability to scale.